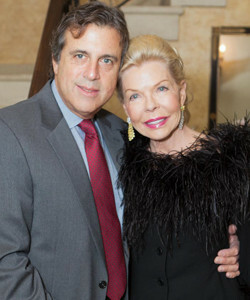 PALM BEACH, Fla. – LIFE’s 21st annual “Lady in Red” gala, co-chaired by Lois Pope, Dr. Robert Mackler, Patrick Park and Lola Astanova, will be held Dec. 6, 2014, at the Mar-a-Lago Club. Comedian Martin Short will entertain. The gala’s theme is “A Night in Shanghai.” Tickets are $700 per person and $500 for a junior ticket (45 and younger). Sponsors include Braman Motorcars, Tiffany & Co., Wells Fargo Advisors, Hoffman Chocolates and Clientele Beauty. Proceeds from the evening will benefit LIFE’s partnership with the American Humane Association, which includes a program to protect abused and neglected children and animals. Honorary Chairs are Melania and Donald Trump. For more information, call LIFE (Leaders in Furthering Education) at (561) 865-0955 or visit www.life-edu.org. Photo by Lucien Capehart Photography.